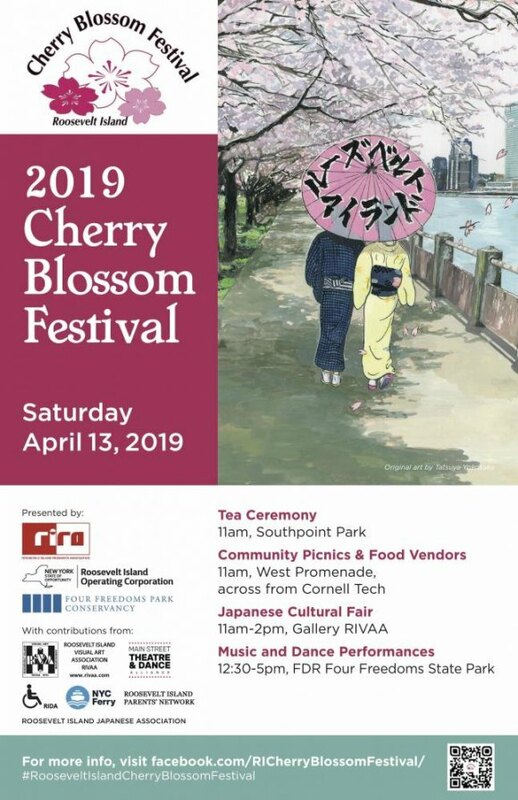 With sunny skies and temperatures expected to reach the low 70s and with countless cherry blossoms lining pathways, sponsors of Roosevelt Island's annual celebration of Japanese Culture present family oriented activities from 11:00 a.m. until 5:00. Activities start with a Tea Ceremony in Southpoint Park and migrate south into FDR Four Freedoms for an afternoon of music and dance. In the meantime, picnics take place on the West Promenade alongside Cornell Tech while the café serves a special Sakura Festival Menu.